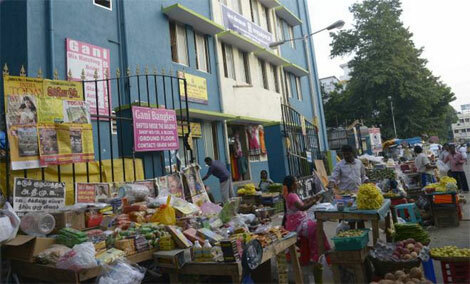 Why shopping in Pondy Bazaar in Chennai would be different? In Chennai, Pondy Bazaar is one of the highly crowded places and people often find it difficult to walk here is well known. The news is in this upcoming Tamil New Year, Pondy Bazaar would be totally different for shopping. People going to this place would be surprised to see one way traffic plus car parking in the vicinity and wider foot paths without encroachments etc. In the month of March, pedestrian plaza would be inaugurated by GCC and it would relay as many as 13 streets leading to Theyagaraya Road. It is said that temporary parking would be allowed at selected locations. Around the busy Panagal Park and Thanikachalam Road, smart parking management along with CCTV cameras would be making their presence felt. The point is the arrangement would continue till the multi level car parking project is developed. It was revealed that the shop owners have been raising concerns of parking and they are also worried over the widening of the footpath. To understand about these issues, GCC along with others like ITDP or Institute of Transport and Development Policy and Smart City Limited or SCL were involved in a survey in this month of February. In this survey as many as 512 shoppers were surveyed to understand their parking needs. According to Nashwa Naushad belonging to ITDP, on the 700m stretch where the pedestrian pathways were laid, nearly 52% of people said they came by public transport, by foot, taxis or autos and only 48% came by two-wheelers and cars. The information collected was 78% of shoppers parked their cars and two-wheelers around Panagal Park plus on the side streets. This showed that people have started parking at a location and walking on the footpaths. This was as per ITDP. Mr. Raj Cherubal, CEO of CSCL expressed his views. He spoke about how Theyagaraya Road could accommodate 200 cars and side streets could accommodate 500 cars. He later hinted about the possibility of organised parking once when the multi-level parking comes up. The pedestrian plaza is completed and GCC would revamp North Usman road, GM. Chetty road and Venkatnarayana Road. This was as per Mr. M. Govinda Rao, deputy commissioner (works).